Food ingredient and nutraceutical manufacturers are increasingly looking to market their products by substantiating their unique health benefits. There are many generic, widely used claims - in the EU, Article 13.1 of the European Food Safety Authority’s (EFSA) EC Regulation permits manufacturers to use some 4,6371 that pertain to vitamin and mineral content. 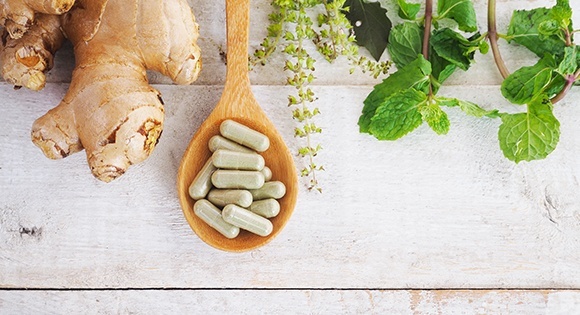 This proliferation is driving manufacturers to develop unique claims to use in marketing efforts, which in turn has led to a significant growth in demand for nutraceutical trials. Nutraceutical trial design presents several unique challenges for researchers. As the market is evolving, it is often the case that many companies in the sector are unfamiliar with clinical trials. The health effects of nutraceuticals are often minimal compared to pharmaceuticals and more easily affected by the heterogeneity of subjects as well as environmental and lifestyle factors. To create a viable study, a larger sample size than would be required in a drug trial is often needed. This means that larger budgets are need. It’s also very difficult to establish what claims sponsors want to make using the results of the trial. This may create a need to do a pilot study to gain insight into desired end results. This again creates additional cost. It is imperative that sponsors pick a claim that they want to evidence before commencing a full trial. Nutraceutical trials are often harder to recruit for and have higher drop-out rates than pharmaceutical counterparts. This is because the demands on participants are often higher in nutraceutical compared to pharmaceutical trials as the study group must maintain a healthy lifestyle and record more related information. The challenges for nutraceutical studies are plentiful but they can be managed with a well-planned and effective trial design. If the desired outcome of a trial is to state that a product has preventive qualities, a significant amount of data is required, and the trial will have to run over a longer period. Whether a trial will be controlled or uncontrolled is likely to be determined by the type of product, the desired end-point and any logistical or budgetary constraints. Wherever possible, trials should include a comparator group. The nutraceutical will ideally be compared against a placebo, but standard care, or even a well understood medication could be used. People often change their behavior when they are being monitored for a trial, so without a comparator group it is impossible to know whether changes observed in people taking the nutraceutical are a result of the product or another factor. Double blinded trials, where placebos are used, are the gold standard and should be used where possible. If lifestyle choices are likely to influence the end-point it is vital to blind, as the knowledge of whether the subjects are taking the active component will change their behaviour and so bias the result. When it is not possible to design a suitable placebo, an open label approach would have to be adopted. This is less preferable as compliance to the study protocol is likely to be poorer in placebo groups when participants know they are not taking the active product. Participants are also more likely to withdraw from the study because they have no incentive to continue. There are also issues with bias as participants are not likely to perceive any improvement in symptoms if they know they are taking placebo, whereas participants who know they are receiving the active product may perceive an improvement whether there is one or not. Lifestyle choices often have a bigger influence on a nutraceutical than a drug and a more significant impact on the outcome of the trial. For this reason, it is imperative that the study design acknowledges lifestyle variables and ensures these are effectively recorded and factored in to the final statistical analysis. nutraceutical in the selected subjects needs to be achievable and evidenced in the trial. As with a pharmaceutical study, participants need to start off with symptoms severe enough that an improvement can be seen. The study and subsequent data needs to be as generable as possible and the results need to show that a nutraceutical could have an effect in a wider population. A careful balance needs to be achieved so that the study population is homogeneous enough to see a result, but not so homogeneous that the results cannot be generalized to a wider population. Running the trial from different centres ensures sponsors can capture more diverse demographic and environmental issues and that the subsequent data is more reliable. One area where nutraceutical trials are advantaged is in the interpretation of data. The same tried and tested mechanisms used in the pharmaceutical sector can be used for nutraceutical trial data analysis. Clinical research organisations (CRO) such as Quanticate have been operating in the pharma sector for many years. We have qualified procedures in place for appropriate recruitment, logistics, sample and data handling, and use qualified statisticians for protocol planning and data analysis. We are well versed in trial set up and advising sponsors on design. All of this is essential for a successful trial. If you would like support on nutraceutical trials submit an RFI and a member of our team will get back to you shortly. This article by Quanticate has also been published on Nutraceutical Business Review.